Successful corporate gift giving relies on getting a few key things right – your timing, the presentation of your gift and ensuring it’s tailored to the unique personality of the recipient. 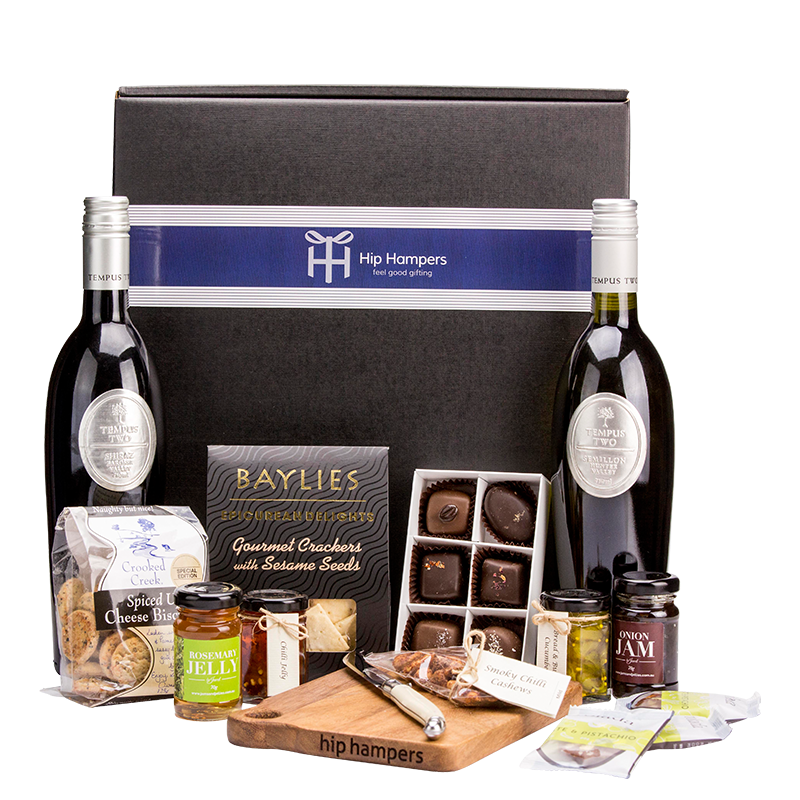 At Hip Hampers® we have designed plans that ensure you have the choice to cover those vital ingredients and hit your gifting target! Sending a tailored gift to a client says so much more than ‘thank you’. It says that you acknowledge their input to your business and that you value deeper client relationships. It tells your clients that you don’t take them for granted and that your brand culture is built on showing gratitude. It says you’re the right people to continue to work with. Timing is one of the key elements to successful gift giving. A delivery outside of the traditional holiday dates has more impact and helps distinguish your business from the competition. For example Real Estate Agents could send a gift celebrating a client’s successful property purchase. Or a first anniversary in a new home they helped secure. They could even send a Valentine’s Hamper to show how much they loved working with their clients over the past year. Opportunities for great gifting are endless. Making your gift truly personal to the recipient and packaging it beautifully will turn every ‘thank you’ into an opportunity to grow a relationship. If you take the time to find out more about your clients tastes, interests and business milestones these all provide ideal opportunities to connect. We can then devise a branded hamper for you in one of our wrapped boxes, a hand embossed tin, Didgeridoonas cooler or personalised jute bag that will capture your sentiment and lodge itself in the memory of your business contact.